We’d love your help. 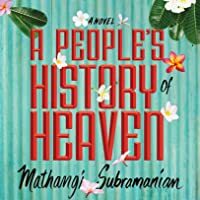 Let us know what’s wrong with this preview of A People's History of Heaven by Mathangi Subramanian. Welcome to Heaven, a A politically driven graffiti artist. A transgender Christian convert. A blind girl who loves to dance. A queer daughter of a hijabi union leader. These are some of the young women who live in a Bangalore slum known as Heaven, young women whom readers will come to love in the moving, atmospheric, and deeply inspiring debut, A People's History of Heaven. One of the Most Anticipated Books of 2019 (Literary Hub), A PEOPLE'S HISTORY OF HEAVEN centers on five best friends in a Bangalore slum known as Heave One of the Most Anticipated Books of 2019 (Literary Hub), A PEOPLE'S HISTORY OF HEAVEN centers on five best friends in a Bangalore slum known as Heaven. Together they wage war on the bulldozers that would bury their homes, and, ultimately, on the city that does not care what happens to them. A politically driven graffiti artist. A transgender Christian convert. A blind girl who loves to dance. A queer daughter of a hijabi union leader. These are some of the young women whom readers will come to love in the moving, atmospheric, and deeply inspiring debut by Mathangi Subramanian. Heaven is hidden between brand-new high-rise apartment buildings and technology incubators in contemporary Bangalore, one of India's fastest-growing cities. In Heaven, you will come to know a community of people living hand-to-mouth and constantly struggling against the city government who wants to bulldoze their homes and build yet more glass high-rises. These families, men and women, young and old, gladly support one another, sharing whatever they can. To ask other readers questions about A People's History of Heaven, please sign up. Heaven, worlds away from the life I know, a slum in Bangalore and yes, it’s a slum called Heaven. I was expecting to find poverty and repression here, but I had no idea that I would find the joy of beautiful friendships, loyalty, love, and hope nor mothers and daughters with strength and a desire to just live their lives . Fending off the government that wants to bulldoze their homes, these women and girls exhibit strength and concern for each, especially the five young girls. Deepa who can’t se Heaven, worlds away from the life I know, a slum in Bangalore and yes, it’s a slum called Heaven. I was expecting to find poverty and repression here, but I had no idea that I would find the joy of beautiful friendships, loyalty, love, and hope nor mothers and daughters with strength and a desire to just live their lives . Fending off the government that wants to bulldoze their homes, these women and girls exhibit strength and concern for each, especially the five young girls. Deepa who can’t see, but loves to dance isn’t allowed to go to school, but her friends won’t let her miss the opportunity to dance in a school competition. Padma has to become the adult in her family while she is still a young girl. Banu, the artist has been left with her grandmother and you wonder what will happen to her talent. Joy is a transgender and Rukshana struggles with her sexuality I couldn’t help but want these girls to have a safe and happy life and couldn’t help but wonder if it was possible. An amazing sense of community, of belonging in a place that seems far from any heaven we might imagine is at the center of this book that had me captivated with the author’s beautiful writing and these wonderful characters. A story of place and culture. This is a stunning tale of the unconditional love between best friends. The main characters are five such best friends, and they are each others’ biggest supporters and allies. Jaidee Thanks Jennifer. I so wants this now ! Heaven is a slum in Bangalore, named for the Sanskrit word left on a broken sign, the word for heaven, and it is where the stories of these families take place. There are eighteen people of note in this story, but the primary focus is on five girls on the verge of womanhood who attend the local government school. Banu is an artist, her grandmother, her ajii, one of the original residents of Heaven; Deepa, who is visually impaired, is a dancer who doesn’t attend the s !! NOW AVAILABLE !! Banu is an artist, her grandmother, her ajii, one of the original residents of Heaven; Deepa, who is visually impaired, is a dancer who doesn’t attend the school with the other girls; Joy is the youngest in the family with three older brothers, is transgender, identifying as a girl; Rukshana, who struggles with her sexuality, especially as a Muslim, and how she fits in; and Padma, who bears a lot of weight as the only member of her family who is educated, and therefore takes on adult responsibilities. These five girls are naturally accepting, and protective of each other, in such a way to tighten their bond even more. When their homes in Heaven are threatened by demolition with bulldozers, they choose to fight back rather than accept defeat. I didn’t know, going into this book, that this author, Mathangi Subramanian, has written other books, although this is her debut novel for adults. There is a smooth, effortless flow to her writing that I wasn’t expecting. Given the setting and what little I knew of this story, I was pleasantly surprised by the many moments of loveliness, and ultimately I found this to be an uplifting story. It is not without some moments of sadness, and it does tackle some of the issues that face women, particularly Indian women, but in any area that fosters some of the issues facing these women. With such beautiful, lyrical writing, and such a spellbinding story, I did not want to put this book down. Times today don't allow jaded jokes or malicious irony: no, today we want what feels like goodness. Things can go sour quickly we've noticed, and nothing is more certain than this in a small "slum" of Bangalore. But gee, we've traversed terrains like this before, on screen (Slumdog Millionaire) and popular lit (Animal's People); but, scratch that. It's actually nothing like that. And it comes with a bonus too: we NEED this kind of stuff! Our modern spoiled-brat me me me and things to buy days nee Times today don't allow jaded jokes or malicious irony: no, today we want what feels like goodness. Things can go sour quickly we've noticed, and nothing is more certain than this in a small "slum" of Bangalore. But gee, we've traversed terrains like this before, on screen (Slumdog Millionaire) and popular lit (Animal's People); but, scratch that. It's actually nothing like that. And it comes with a bonus too: we NEED this kind of stuff! "If you're a girl in heaven, you don't get out much. Too many eyes watching you. There are people residing in Heaven. There are young girls with dreams, with hopes. There are their mothers, their Auntys, their fathers who look to each other for affirmation, for things to be better than they were before, for opportunity to come and enfold them with happiness, and if not happiness, then a sense of belonging, of being able to be something, someone that is true to what and who they are. There are girls who experience the needs of today, wanting education, wanting to be accepted as what they are, be they gay or transsexual, be they straight. They depend on one another, Banu, the artist, Deepa the blind dancer, Joy, the transgender, Padma, a migrant new to Heaven, as well as a cast of others who despite where they live have found glimpses of happiness which they grasp and hold on to. Some are encouraged to pursue their dreams. Janaki Ma'am, the school mistress, wants all students to succeed. She is passionate, dedicated to the road education can lead these children down. She instills in them respect for learning and goes to many lengths to insure they will succeed. There are the traditional characters as well, one who never uses her own name or other's but instead refers to them as ..the wife of, or the mother of..... as if a woman has no identity other than that of being a mother or a wife. There are those who value only sons while not seeing the brilliance of their daughters, while there are others who struggle so to fit into the religious mores of the country they inhabit. And yet, there is hope. Hope that comes from believing in yourself, in seeing yourself in the vision that others have for you, that find their place, not always an easy place for sure, in a country, in a slum, that has given them life. If is a story of friends, relatives, parents, who move with the times, while others stay back, and see with eyes open that their children's futures lie not in the past, but in a future where all may be equal and educated. This was a trip down a road beset by poverty and yet, there is so much good, so much light in the path forward that these people will walk. It is that hope and vision which propel this new author's book into a future that just might be a bit of the real heaven someday. Thank you to Mathangi Subramanian for writing this book of expectation, to Andrew at Algonquin Books for sending me a copy of this new author's first effort, and to Algonquin Books for taking a chance and allowing a new voice to be heard. This book will be published on March 19,2019. I received this E-ARC via Algonquin Books and Netgalley in exchange for an honest review. Trigger warning: Mention of bullying. Homes being torn down. I was really looking forward to reading this! I saw that synopsis and knew I had to request it. Unfortunately it wasn’t for me. I really didn’t like the writing style. I’m sure it gets better. But I could barely read a paragraph. Heaven in this story is one of the thrown-together slums of Bangalore, India, a place populated with the lowest ranks of Indian life. There are some full families, with both parents and children, but more commonly there are women alone or with children and grandchildren. Sometimes primarily female children for they are the less important and less powerful in life. All girls and women enter life here with a mark against them. When we enter Heaven, we meet a varied group of girls and their familie Heaven in this story is one of the thrown-together slums of Bangalore, India, a place populated with the lowest ranks of Indian life. There are some full families, with both parents and children, but more commonly there are women alone or with children and grandchildren. Sometimes primarily female children for they are the less important and less powerful in life. All girls and women enter life here with a mark against them. When we enter Heaven, we meet a varied group of girls and their families and friends. We see their daily lives and frequent frustrations. The major group issue is the threat to their threadbare homes. The city has been sending bulldozers out to demolish the slums, one by one, in order to build new roads and malls, and Heaven’s turn is coming soon. There is no place for these people to go. And this group of girls has become so close that they become each other’s support. Inspired by the head of their school, several in this group are learning to strive for college, for true jobs, an escape from the slums altogether. The author has written a novel with realistic, often difficult, aspects of Indian life. Most of what we see are the city problems of the poor, especially those faced by women and cultural and social minorities. But she also provides us with moments of romance, humor and magic as this group of girls discover who they are and what they want. Subramanian taught me while I was reading about Heaven and all of these girls. I wish I could meet Deepa, Padma, Banu, everyone and that we could speak each other’s language. I recommend this book for a look at one part of India and some very strong girls and women. Thank you so much Algonquin for my free copy! Thus far, I have had the most phenomenal year of reading. I am somewhat new to reading diverse books so this has been the most amazing surprise! Set in Bangalore, India we follow in first person narrative five schoolgirls who call a slum their home. The slum is a community made up almost entirely of women who were discarded for who they are or for not being able to live up to the standards of men. It is nestled between high-rises and has a damaged sig Thank you so much Algonquin for my free copy! Set in Bangalore, India we follow in first person narrative five schoolgirls who call a slum their home. The slum is a community made up almost entirely of women who were discarded for who they are or for not being able to live up to the standards of men. It is nestled between high-rises and has a damaged sign on the outskirts of it with the word Heaven written in Sanskrit. But the city government has scheduled it for demolition. It may not be a heaven on earth but it is these women’s home and they will fiercely defend it. The schoolgirls we follow are Deepa, who is kept out of school due to partial blindness, Padma, who’s family dynamics make things difficult for her, Joy, who is transgender and incredibly smart, Rukshana, a queer finding her way in the Muslim religion, and Banu, an artist who’s grandmother is a prominent figure in the community for being one of its original members. These women are all strong, compelling characters who support one another in a place where they have been left to their own devices. These are brilliantly written characters. In India, a slum called Heaven is being threatened with razing. The local women rally to fight it. We get to know some of these women, each distinctive, but the true focus is on five girls, each with different circumstances, including one with adult-level responsibilities, a visually impaired dancer, and a trans girl. The writing is graceful, vivid, the narration swooping into each girl in intimate space, then outward again to paint the community. The grim side of poverty and its cost are not sent In India, a slum called Heaven is being threatened with razing. The writing is graceful, vivid, the narration swooping into each girl in intimate space, then outward again to paint the community. The grim side of poverty and its cost are not sentimentalized, but this is far from being a grimdark book. Central is love and hope, trust and delight in small things. I found it an absorbing, beautiful read. 3.5 stars Thank you to BookBrowse and Algonquin Books for allowing me to read and review this ARC. Published on March 19. 2019. A poor lowly slum in Bangalore, hidden behind the city high rises. Houses physically built from scrapes. But the homes built with love. Five families - five young girls, well almost - who fight to live in this squalor they call Heaven, as bull dozers nosily idle nearby, waiting for a chance to grind up what little they have. This book reminds me so much of Amy Tan's Joy 3.5 stars Thank you to BookBrowse and Algonquin Books for allowing me to read and review this ARC. Published on March 19. 2019. I so enjoy when a story drags me to where they want me to be as these five fearsome girls sneak their way into your heart. Raised in a Bangalore slum, each character gets to provide their backstory that centers around lives defined around by femaleness and class structure as they fight for their future, adventures, and just to be. The unnamed first person plural narrative voice showcases the ingenuity and solidarity of the characters in the unconditional acceptance of each other and each just wa I so enjoy when a story drags me to where they want me to be as these five fearsome girls sneak their way into your heart. Raised in a Bangalore slum, each character gets to provide their backstory that centers around lives defined around by femaleness and class structure as they fight for their future, adventures, and just to be. The unnamed first person plural narrative voice showcases the ingenuity and solidarity of the characters in the unconditional acceptance of each other and each just want to live their best life. This lithe tale while explore our humanity is as profound as it is entertaining. THE PEOPLE’S HISTORY OF HEAVEN is a story of 5 girls living in a Bangalore slum called Heaven. These best friends and their families work hard to support each other, even while constantly battling the government from bulldozing their neighborhood. This novel features a wide cast of characters and each girl has a unique perspective to offer. This book highlights many themes such as poverty, feminism, transgender issues, and living with disabilities. This beautifully written novel follows these gi THE PEOPLE’S HISTORY OF HEAVEN is a story of 5 girls living in a Bangalore slum called Heaven. These best friends and their families work hard to support each other, even while constantly battling the government from bulldozing their neighborhood. This novel features a wide cast of characters and each girl has a unique perspective to offer. This book highlights many themes such as poverty, feminism, transgender issues, and living with disabilities. This beautifully written novel follows these girls as they navigate life’s obstacles with the love and support of their friends and family. While this book isn't young adult, I do think it will appeal to YA readers. We do read a lot about the adult's history, but I feel like the book really focused on the young girls. There are a lot of characters in this book. I mean a lot. At times, it was hard to remember who each one was, but there is a guide in the book. I was reading the earc, so I wasn't able to just flip back and forth. But I would have done that with a physical book and it would have made a big difference. Each chapter While this book isn't young adult, I do think it will appeal to YA readers. We do read a lot about the adult's history, but I feel like the book really focused on the young girls. Each chapter goes back and forth in time, and focuses on different characters. When the book starts, the women of Heaven were trying to stop bulldozers from tearing down their village. The families there live in poverty, but this is their home. Big companies have been building all around Heaven, and now they want to build there, too. Most of the adult women in Heaven work. Some for the rich families close to their village. Some doing odd chores and work. There are very few men. Most leave their families and start new ones. Some are alcoholics or abusers. This takes place in a pretty modern time because there are cell phones, but it must follow the traditions of the area that I'm not familiar with. The women listen to the men. At least when they're around. They are expected to produce a son. Their daughters are married off at young ages. They can't afford modern medicines and have their babies at home. The young teens were such a big part of the story. Deepa, Banu, Padma, Rukshana, and Joy. Each one has their own strengths and their own difficulties. They were all born the same year and are in the same class. Except for Deepa. She is mostly blind and was pulled out of class. But Deepa "saw" more than people realized. She was fierce and didn't let her disability harm her. Deepa's mom was the first child born in Heaven. Her mother suffered trying to have a child. She had a lot of miscarriages early on. Then a baby that died at birth. She was taken to a hospital that was said to help. They also paid the woman, which she didn't understand. She just wanted a healthy baby. She woke up after having a c-section with a healthy child, but they also sterilized her. Banu lived with her grandma. She's sick and everyone knows she won't be around much longer. Banu isn't very good at school, but she's good with construction and art. The headmistress of the school notices the strengths of each of her students. She has connections and tries to find schools that the girls can go to later in life. She tells Banu about a school for arts, something she didn't even know existed. Padma was from a migrant family. She is the only one who can read and write, so she takes care of everything for her family. Even the finances. Her mom has an untreated mental illness. Padma is one of the brightest in her class. Rukshana is a queer tomboy. She begs to wear the trousers instead of dresses. Her mother is a hijabi union leader. Joy is the top ranked school in her class. She's also transgender with three older brothers. Her mom decides to covert them to Christianity because they could be reborn and Joy could be a daughter. Each of these families is very different. There are different religions and different languages. But they are all loyal to each other. Family isn't just blood. It's who you let in and who you love with your whole heart. There are a lot of warnings and I'm sorry if I forget some. Abuse, abandonment, adultery, slurs and harassment towards Joy, non acceptance of gay men, poverty, mental illness, blindness, secret families, miscarriages, death of a baby, fertility issues. This book shows all the bad along with the good (the people) who live these lives. Thank you to the publisher for suggesting this book and sending me a copy for review through Netgalley. I gave this book 4 stars. I think it's a pretty powerful book and it really makes you open your eyes to the things around you. 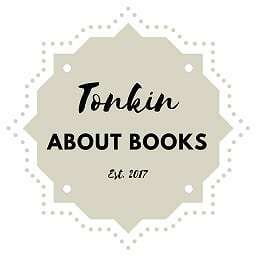 You can check out other full reviews, author interviews, and bookish talks at Tonkin About Books! First of all, thanks to NetGalley and Carla from Algonquin Books for sending me ad eARC in exchange for a honest review. We’re in Bangalore, India. Decades ago it was called "the market" or "the town" but then globalization and technology came, followed by the western mentality based on money and expansion and now Bangalore is something that eats it First of all, thanks to NetGalley and Carla from Algonquin Books for sending me ad eARC in exchange for a honest review. We’re in Bangalore, India. Decades ago it was called "the market" or "the town" but then globalization and technology came, followed by the western mentality based on money and expansion and now Bangalore is something that eats itself and its poor inhabitants in the name of business and profits. Heaven is the slum where A People's History of Heaven unfold. Although there's a male presence - husbands, fathers, brothers, cousins, uncles - in Heaven, Heaven is mostly inhabited by women: women whose husbands died, women abandoned by their husbands for younger wives or because they "failed" in producing a male child. And their lives - their histories - are now at risk for the second time, since the city decided to demolish Heaven to build a shop mall. They obviously don't take it well, so they form a human chain to protest and to defend the slum from the bulldozers. The narrative style is something unusual, something I don't see often: the first plural person. And I like it. It reminded me somehow of The Virgin Suicides by Jeffrey Eugenides with its storytelling, but it's different at the same time. Even if we learnt a few names inside "The Virgin Suicides", there was nothing else to distinguish the boys or their lives - so the voice stayed a collective one. Also, the point was another: their morbid obsession about the Lisbon sisters. Here, instead, the first plural person serves as a "glue" for these lives - lives that literally depend on each other. This voice makes them a solid and close-knit group, it makes them stand together in the face of everything thrown at them. Still, this voice fades when it comes to tell us about these girls and these women in a third singular person - giving them their own voice, their history and their identity. We met a group of teenage girls: Banu, Rukshana, Deepa, Joy, Padma. They're different under many aspects: aspirations, religion, sexual orientation, gender identity. Still, they unconditionally love each other. We met their mothers, we met Banu's grandmother, we met a girl from another slum, we met their headmistress at school - a woman determined to give a future to her students. It's a story about how it's difficult to be a female in India, among a society where male children are favorite because girls have to obey to their mothers first and then to their husbands with marriage - a marriage where they often can't say their opinion about. Because girls can't always complete their studies based on the opinion that it's such a waste of money - money that are preferably spent on male children. It's a story about poor people living in a slum, people the city doesn't care about - something to push away to create space for progress and money. It's about how they have to fight for water, food and a roof above their heads while rich people treat them like they're nothing but an inconvenience. And this is A People's History of Heaven: a fight story. Because it's true these women fight for surivival, but they also fight for a better future - a future where they can be winners despite their caste, religion and gender identity. Was there something I didn't like? Yes, there was. I liked the style, but I had a problem with time jumps - when the "us" fades to tell a specific episode these girls wants us to know about. The chronological order wasn't always clear - I thought the girls were all together when they told about the new girl in their class, then it's said it was Padma. I feel like the book lacks a sort of... background. I have a different culture since I'm Italian and even if I have a vague knowledge of the caste concept from my religion classes in school, for someone who ignores it and doesn't know why the skin color is so important it's not clear why there are so many references to that. This leads me to Joy's mother, a women sometimes avoided by others - I didn't know why she was labeled as "Dalit", I didn't know what it meant so I had to search it on my own. What are the differences? Are they official languages, are those local dialects instead? Why the girls speak one and someone else in Heaven speak another? For someone who knows that culture is implicit knowledge, but if I want to talk about Italian and all its dialects that change based on the region and the town you live to someone who has no idea what I'm talking about, then I also have to explain the difference - I can't simply throw names around. A little background on those subjects for those not knowing that culture wouldn't have hurt. I won a copy in a Goodreads giveaway; this did not influence my review. Two to two and a half stars. 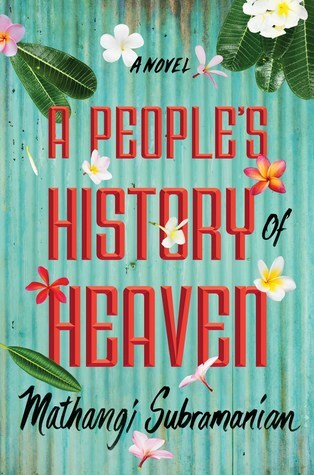 A People's History of Heaven is an odd book in that I didn't find it to be plot-driven or character-driven. It is populated with too many characters and I had to repeatedly refer to the list of The People of Heaven to keep all of them straight. The plot is non-linear and jumps back and forth in time, typically without any demarcation or preamble indicating that a shift has taken place. Furthermore, I won a copy in a Goodreads giveaway; this did not influence my review. A People's History of Heaven is an odd book in that I didn't find it to be plot-driven or character-driven. It is populated with too many characters and I had to repeatedly refer to the list of The People of Heaven to keep all of them straight. The plot is non-linear and jumps back and forth in time, typically without any demarcation or preamble indicating that a shift has taken place. Furthermore, the narration is odd in that it shifts rapidly from first person plural (as in "our mothers," or "us girls," but never singulars such as I or me/my) to third person omniscient. It's not exactly different perspectives in the typical sense of different characters' points of view, so I found the choice to switch jarring. I think Subramanian's intent was to show the five daughters of Heaven as a singular unit, however, so many other character's stories are shared in third person omniscient that I didn't find this to be an effective choice. Despite all this, there were some positives in A People's History of Heaven. The book is set in a slum in Bangalore, India, and what ultimately kept me reading was the strong sense of atmosphere and the complex relationships. The girls and women of Heaven (the ironically named slum) have created a family, one with spats and disputes, but one that comes together in a crisis. It is a female-driven story in which they fight to overcome obstacles and obtain better lives, and the male characters are the marginalized ones. While the five girls all share the common struggle of poverty, each girl is saddled with individual struggles as well, including blindness and identifying as transgender. The writing itself is lyrical at times, but the descriptions don't always make sense or fit. For a short novel, Subramanian attempted to take on too many characters, too much of a scope in time, and too many obstacles - in the end, just too much. This is a debut and I think I would enjoy reading a more focused novel by her in the future. Thank you Algonquin Books for a review copy. Thoughts below are my own. I am in awe of all the female strength, love, and energy Mathangi Subramanian brought to life through 5 teenage living in a Bangalore, India slum. As their slum is about to be bulldozed to make room for fancy high-rises, these girls will do whatever it takes to protect the place they call home. While the plot the book is centered on is dire, the true focus of the narrative is on the friendship and bond between all the women li Thank you Algonquin Books for a review copy. Thoughts below are my own. While the plot the book is centered on is dire, the true focus of the narrative is on the friendship and bond between all the women living and moving between the slums. The girls themselves, the mothers who raise them and the school teacher who wants more for them. The book weaves seamlessly between how the girls came to be ride-or-die best friends and the present day fight to save their slum. It juxtaposes their modern views and dreams on life, love, friendship, and marriage with the more traditional views and dreams carried by their mothers. All of this runs up against their present-day reality - they are poor girls living in a slum with limited opportunities, and in a society that only expects marriage, housework and kids from them. This book seriously melts and breaks my heart at the same time. I absolutely adored the friendship between the girls. There’s love, friction and unwavering loyalty. I wanted to shake the mothers for their more antiquated views on what’s possible for their children, but then Subramanian hits you with their backstory, and the realities of their life, and you’re like okay, okay, I see what you did there. I get it. Heaven is a place in a fictional Bangalore, India. Heaven is slum where the people who are mostly women live in fear because of how globalization and western technology has claimed to come and improve their lives but has made the people poorer but have given them an incentive to come together fight for their homeland. The writing style for this is very unusual and was very hard for me to get into, but still, I persisted. All the lives of the characters are interwoven and make each of the characte Heaven is a place in a fictional Bangalore, India. Heaven is slum where the people who are mostly women live in fear because of how globalization and western technology has claimed to come and improve their lives but has made the people poorer but have given them an incentive to come together fight for their homeland. The writing style for this is very unusual and was very hard for me to get into, but still, I persisted. All the lives of the characters are interwoven and make each of the characters important to the story. A People's History of Heaven is a story that is meant to shed light on the hardship of Indian women and how most times than not a woman is only ever second to a man, how life in the slum is bad and yet the government only care about lining their pockets inside of building the communities within that environment. Which is very good, but I just think the manner of was executed was lacklustre and very confusing, as I would have liked to understand and better read the story. I loved this story so, so much. Thank you to Algonquin for my review copy. This novel centers around the lives of 5 young girls who live in Heaven, a slum located in Bangalore, where the lives of girls are often only as valuable as the men who might marry them. There is so much to unpack with this novel, too much to do here. This book is primarily about Indian women, but the author also covers themes of family, marriage, friendship, class, education of women, gender and sexual fluidity, and religion, just to name a few. I was fascinated by these girls' lives and the load of responsibility thrust on their shoulders while they also try to gain an education and maybe leave the slum one day. This book is not perfect, but then, neither is life, which is what A People's History of Heaven perfectly depicts. This book was beautiful, moving and read like poetry. I thought the first person plural perspective was a brilliant choice: the reader is effortlessly placed right in the middle of all these stories, friend groups and families. The characters were so well depicted and developed. We get to know Heaven because we get to know the characters so well; this is a people's history, after al This book is not perfect, but then, neither is life, which is what A People's History of Heaven perfectly depicts. This book was beautiful, moving and read like poetry. I thought the first person plural perspective was a brilliant choice: the reader is effortlessly placed right in the middle of all these stories, friend groups and families. The characters were so well depicted and developed. We get to know Heaven because we get to know the characters so well; this is a people's history, after all. This isn't the 'official' history or the winners' history, this is the true history, an accurate representation of lives. A fine new book from a new author, a graduate of Brown and a female. This is, after all, a female centered story, close to being a documentary as the scenes of inadequate housing in Bangalore can be easily pictured. The author thanks the Fulbright Foundation for funding the research behind this book. We are introduced to a group of young girls tightly bound in survival friendship as they go through the daily routines necessary to assist their families plus finding their ways to learning. Bulldoze A fine new book from a new author, a graduate of Brown and a female. This is, after all, a female centered story, close to being a documentary as the scenes of inadequate housing in Bangalore can be easily pictured. The author thanks the Fulbright Foundation for funding the research behind this book. We are introduced to a group of young girls tightly bound in survival friendship as they go through the daily routines necessary to assist their families plus finding their ways to learning. Bulldozers are at the ready to plow their houses down and various members of the community contribute what they can be emboldened to enact in various ways to prevent this. What a beautiful book!. “Heaven” is a story of friendship, love, and the many, many ways in which girl-women make the choices that will form their lives and the lives of those they love. “Heaven” is a slum in Bangalore where the continual threat of destruction has always threatened the lives of these girls and their mothers and aunties. Mathangi Subramanian is a writer to watch. This young woman has an elegant voice; and it will be so exciting to listen to it develop. I voluntarily read and revie What a beautiful book!. “Heaven” is a story of friendship, love, and the many, many ways in which girl-women make the choices that will form their lives and the lives of those they love. “Heaven” is a slum in Bangalore where the continual threat of destruction has always threatened the lives of these girls and their mothers and aunties. The foreign lady clutches her camera so hard that the skin on the top of her knuckles changes color. Which is funny, because when we close our fists, our skin stays exactly the same. Like our bodies are already the color of crisis. Well that was a lovely surprise. This book was a random library grab (I'm a sucker for a pretty cover!) and I'm so glad I took a chance on this one! this book really just swept me off my feet. i’m sitting here, having just finished it, thinking about the power and strength within each of the women in this story. with their community being faced with destruction, turmoil, and loss— they stand together, continue to support and build up one another, protect what is theirs, and always ensure they are safe and cared for. i’ve never read a book that weaves together a community so beautifully, and i feel so grateful to have experienced this one. each of the younger women’s stories within this book really got me, but in particular Joy and Deepa got me the most. their stories are complex and the way their community responds to each of them is one of the most beautiful things i’ve read. these were the stories i needed, and that i’m sure others did, too. i highly recommend this book if you’re looking for a complicated, complex community coming together and standing up for what they believe in and for what is right (not to mention, some pretty badass intergenerational women)! this comes out on 3/19! "It's funny, being a girl. That thing that's supposed to push you down, defeat you, shove you back, bad, and farther back still? Turn it the right way, and it'll push you forward instead." A People's History of Heaven is a rich, poignant river of poeticism that pulls you slowly and irresistably through the lives of five remarkable girls and the women surrounding them. This is one of the best books I've read so far this year, and I give it five stars without the slightest reservation. Where do I ev "It's funny, being a girl. That thing that's supposed to push you down, defeat you, shove you back, bad, and farther back still? Turn it the right way, and it'll push you forward instead." Where do I even start? Heaven is an Indian slum, populated mostly by women and their children. At the center of the novel are five girls, all the same age, all residents of Heaven, and all fiercely devoted to each other, their families, and their home. They are Christian, Muslim, and Hindu. Deepa is blind. Joy is transgender. Padma is forced to act as the primary caretaker of her family, including her parents. Rukshana is queer. Banu struggles academically and lives with her aging grandmother. Yet for all of their struggles and all of their differences, the five remain inseparable and indomitable. The book takes place in two timelines. One is a linear, present-day narrative, as the girls face down a team of bulldozers sent to tear down Heaven. The other is a patchwork history that jumps effortlessly through time, chronicling the girls' lives from childhood to now. Interwoven with their stories are the stories of the women around them--mothers, grandmothers, and teachers, all pushing to rise above their pasts and give their daughters a better future. Though the plot may not sound like much, Mathangi Subramanian crafts an intimate, intricate, immersive portrait of a vibrant community that you can't help but feel fully emotionally invested in. As a result, the story becomes nearly impossible to put down. Where this novel truly excels, though, is in its use of language. Subramanian's prose is poetic without being excessively flashy, full of color and alliterations and elegantly crafted metaphors that positively sing from the pages. In a move that could have fallen horribly flat, but instead only magnifies the story, the entire book is narrated by the girls as a single unit. There is never an "I," only a "we," with individual girls' stories described in the third person only, as if they are talking about each other. In an age of constant urban expansion, where members of many societies face oppression and the threat of erasure, this book is critically important. Indian narratives are often neglected in American popular culture--sure, we loved Slumdog Millionaire (even though it veered widely from the original book, Q & A), and some literature classes study The God of Small Things--but in general, stories like this one escape the consciousness of Western society. The novel actually touches on this fact as it introduces a white photographer who is sent to chronicle the demolition, claiming she wants to help, though the girls know she will only paint them in the most tragic light possible and still nobody will come to their aid. Subramanian uses the unfiltered opinions of youth to sharply point out injustices imposed by the patriarchy, by the government, and by Western globalization. Women and girls have historically been forgotten and pushed aside in favor of male narratives, but they are the beating heart of this story, smiling defiantly even when the odds are against them. And if you want to talk about intersectional feminism--well, with their varying religions, abilities, sexualities, genders, and histories, all of these minority women are a shining example of what girls are really capable of when they band together. These girls are not weak; they are complex and smart and strong beyond imagining. - Janaki Ma'am, the principal of the girls' school, is a true gem of a human being, and everyone should strive to be more like her. - While there were some bad men in the book, there were also plenty of good ones. There was no misandry here. - Straight, cis characters supporting their trans friends make me so happy. - The number of times Joy was described as being "like a queen," even when facing hostility. - Disabled characters weren't defined by their disabilities, but they also weren't treated solely like disadvantages. They were simply regarded as facts of life. In college, I took a course on post-colonial Indian literature. If the professor for the course had not retired, I would be sending her an email saying that she should add this book to the curriculum. But this isn't just an excellent work for literary study; it is an excellent piece of literature for everybody. It is gorgeously written, broken into easily digestible sections that make it compulsively readable, and takes on critical issues from a beautifully human point of view. It is unflinching but also compassionate, its bleak realities always threaded through with brilliant sensory detail and laced with the hopes and dreams of its characters. And those characters--those incredible girls and women--are truly unforgettable. Thank you, Algonquin via NetGalley for the digital copy to review. All opinions are my own. From the publisher's synopsis: A politically driven graffiti artist. A transgender Christian convert. A blind girl who loves to dance. A queer daughter of a hijabi union leader. These are some of the young women who live in a Bangalore slum known as Heaven, young women whom readers will come to love in the moving, atmospheric, and deeply inspiring debut, A People's History of Heaven. Heaven is a slum in Ban Thank you, Algonquin via NetGalley for the digital copy to review. All opinions are my own. Heaven is a slum in Bangladore, India. As one of India's fastest growing cities, modern high-rises and technology are moving in, slowly encroaching on the little space the slum's occupants still have. A community of women, from the elderly grandmas to a group of school-aged girls, this is a story of womanhood, supporting your friends, and fighting for your home. The thing I loved most about this book was the relationships all of the women, young and old, had with each other. Regardless of blood relations, the women looked after the children, using their individual strengths to encourage success in each of the young children running around the slum. They knew they were poor, but they didn't dwell on it. They didn't pity themselves. Instead, they rose above their circumstances and shined. With the help of the principal at the local school, these girls knew they were destined for more than the life they currently led. The principal saw the brilliance of their minds and prepped them for college as a way to help them better their futures. In a place where education wasn't freely accepted for girls, she taught them that they did, in fact, deserve to rise! This book is beautiful in all ways - the message, the character development, the story. I am so glad I stumbled upon this one! Disclaimer disclaimer disclaimer. I received this prepublication ARC from Algonquin Books of Chapel Hill at no cost. As I check most of my reading material out of a public library, thank you, Sonoma County Library, I’m not influenced by getting a book for free. Okay? Done with that. This book is a gem such as you’d find in a Joyalukkas window, sky blue, parrot-tail green. It’s the story of us. Really. It says so. It’s like that San Francisco-based folk group from the Sixties, We Five, a kind of e Disclaimer disclaimer disclaimer. I received this prepublication ARC from Algonquin Books of Chapel Hill at no cost. As I check most of my reading material out of a public library, thank you, Sonoma County Library, I’m not influenced by getting a book for free. Okay? Done with that. This book is a gem such as you’d find in a Joyalukkas window, sky blue, parrot-tail green. It’s the story of us. Really. It says so. It’s like that San Francisco-based folk group from the Sixties, We Five, a kind of e pluribus unum of narration. A story of five girls told by none of them but always seeming like it is told by five voices speaking as one and knowing everything. Deepa, Banu, Padma, Rukshana, and Joy. We say they say. How can a story of life in a Bangalore slum be beautiful? Because the people are. Because the writer knows how to tell this story that can’t help but dredge in each of us a recognition of the homeless camps of America that get bulldozed everyday to make way for another dose of silicon-fueled gentrification. Better? Best? I don’t look at art that way. But this one will long be memorable. I know. Because I copied out pithy sentences and multi-paragraph passages to revisit. I’ll share this with my daughters. Maybe, someday, with a granddaughter who hasn’t quite gotten to that “The books. Oh, the books” stage of her life. I read this one because the author did an event at my local bookstore (she was lovely!) and I was happy to support her and the store. I did not have the opportunity to read the book before the event so couldn’t ask questions but I did enjoy the discussion between her and the Indian women in attendance who talked a lot about the disparities between girls and boys in Indian culture and how it’s been changing over their lifetimes. They also shed light on Hijra people in India which I’d never heard I read this one because the author did an event at my local bookstore (she was lovely!) and I was happy to support her and the store. I did not have the opportunity to read the book before the event so couldn’t ask questions but I did enjoy the discussion between her and the Indian women in attendance who talked a lot about the disparities between girls and boys in Indian culture and how it’s been changing over their lifetimes. They also shed light on Hijra people in India which I’d never heard of before and they play a small role in this story. But: Back to the book! It took me a little while to get a handle on all of the characters and to learn why each one was special but by the end I certainly did care about all of their fates. It’s almost impossible for me to really understand the situation they are in and how their lives can be so different from mine where even basic elementary school education is a luxury and they have parents who can’t read or write and they live in a slum that could be bulldozed at any moment. The more I think about it, the more I’m realizing how much I liked this book.